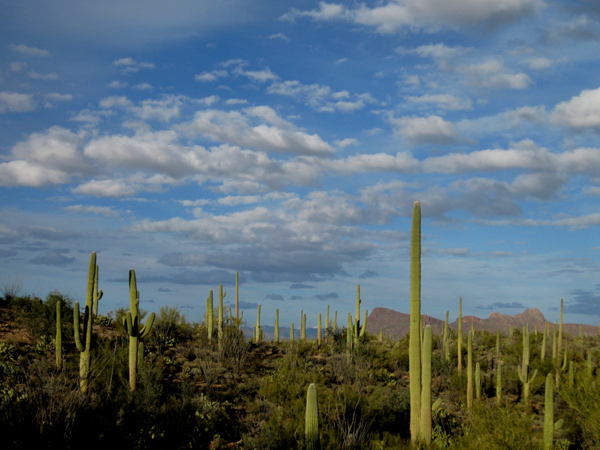 A stroll to Signal Hill through an amazing Saguaro cactus forest. And what a fascinating sky to complete the picture. 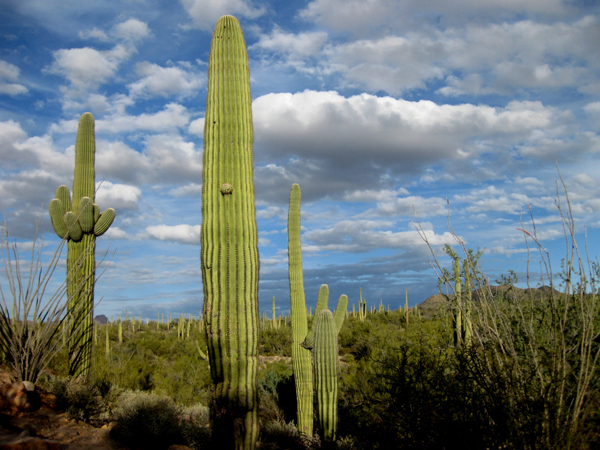 These saguaros are so interesting – they seem to have such individual personality. 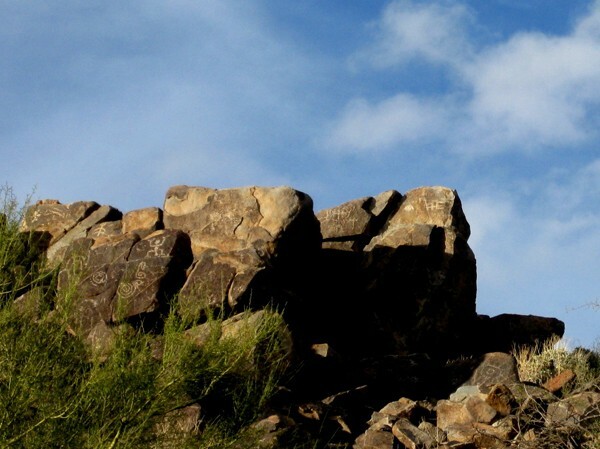 Oh look up there – on those rocks! 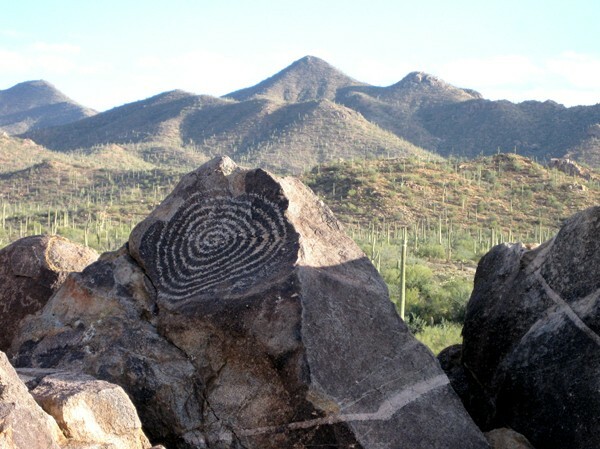 This is the only angle you can see these carvings. So glad the light was just right! 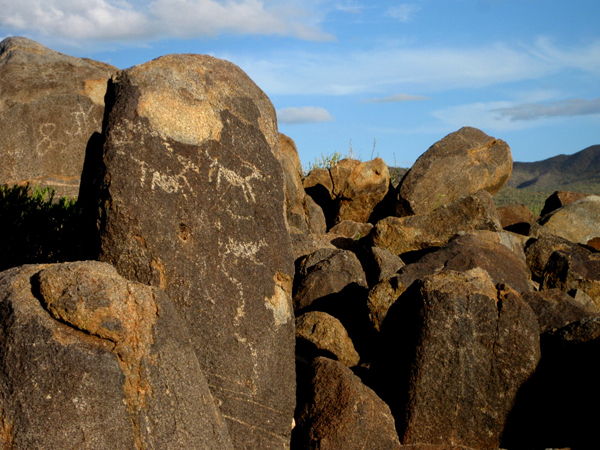 What are the meanings of these petroglyphs? Really a fun rock outcropping to experience. Changing shadows on the hike down. 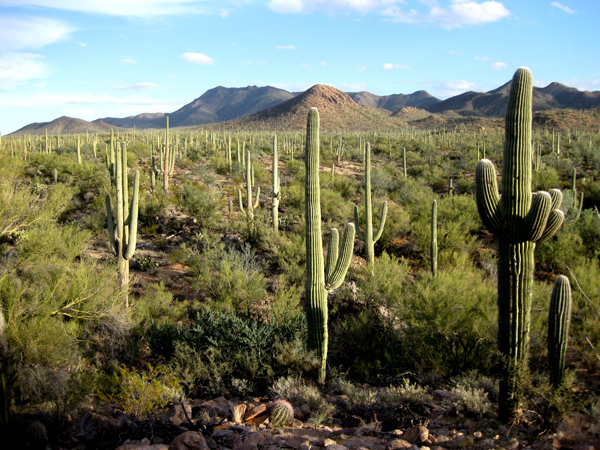 This is near a CCC camp and they built the picnic shelters using dead saguaro stems. Ho Ho Ho. 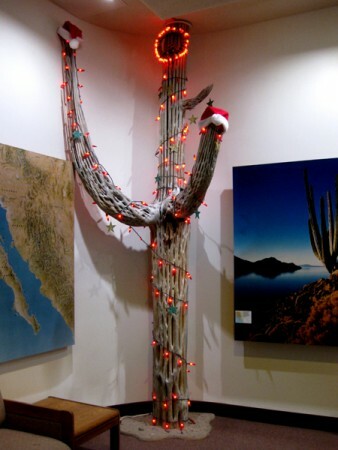 This dead saguaro is setting the mood for tonight’s full moon concert. The rangers had hot chocolate and cookies for us – how nice is that! 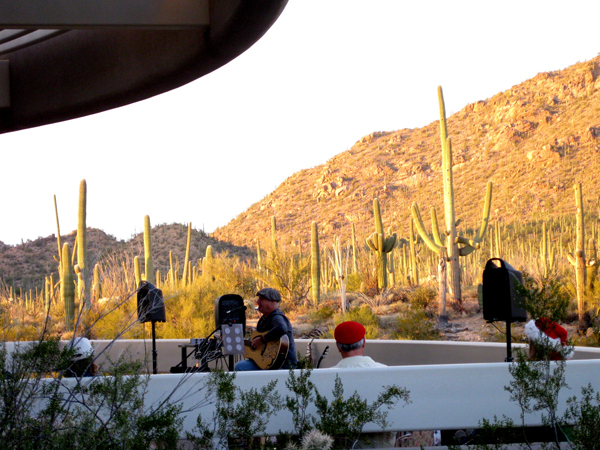 The back patio had solo guitar music while the sun was setting. 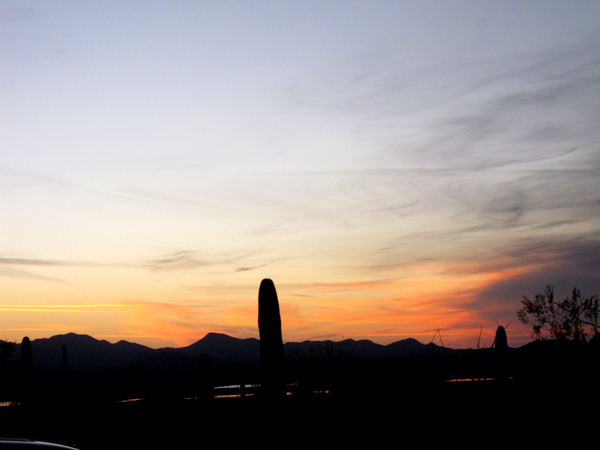 And it was a very peaceful sunset – had to leave our chairs to wander around to the front to capture this image. A ranger played a Native American wooden flute while the full moon rose. It was so haunting and moving. Quite a memorable experience. Truly a unique way to experience a national park. 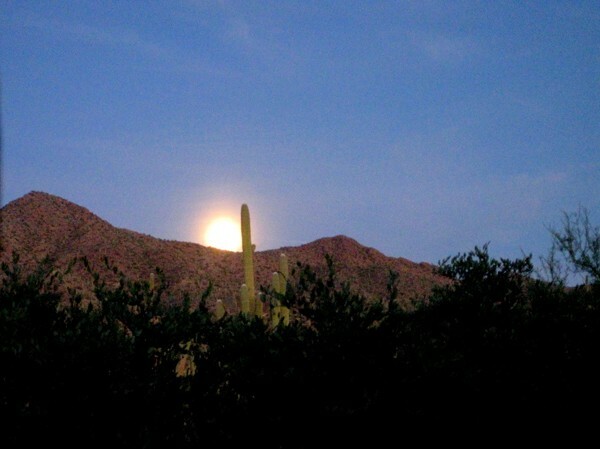 We saw the first full moon of 2015 rise in Organ Pipe and the last here.